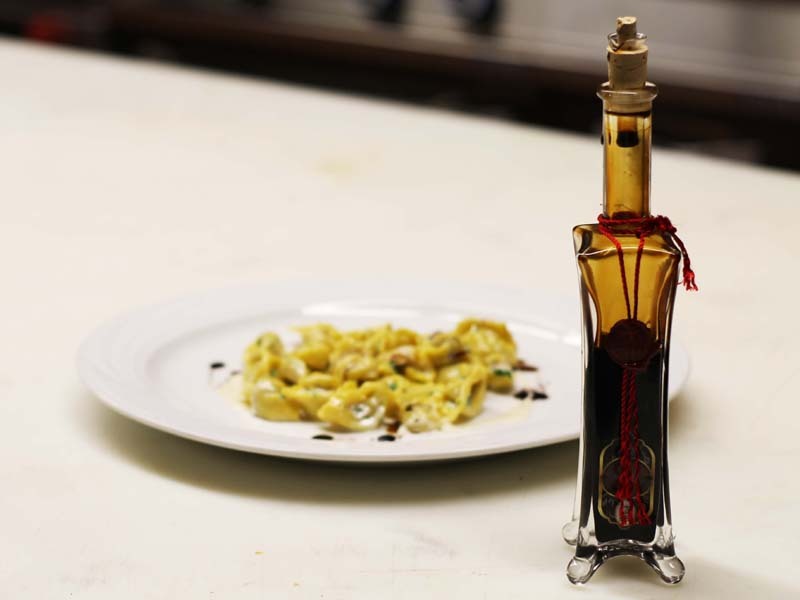 The balsamic vinegar is a dark bronze color with a thick consistency and strong smell. It is known for its persistent sour taste followed by fruity undertones. The classic use is the oil being paired with Parmigiano Reggiano cheese, but it can be used also with risotto, pork, beef, poultry or wild game as well.In glass containers, at room temperature.